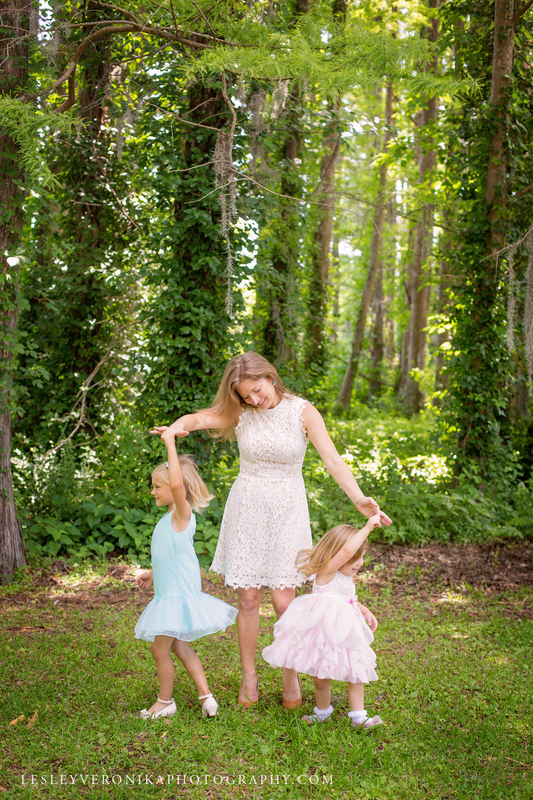 Lauren’s beautiful Mommy and Me Session was at Greenfield Lake in Wilmington NC. It was a bit hot that day but Lauren and her girls barely noticed. 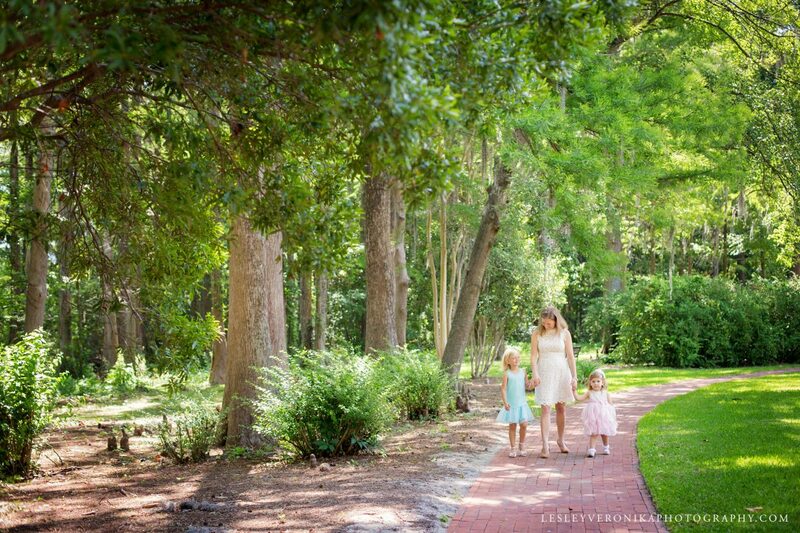 We walked along the paths at Greenfield Lake and Lauren enjoyed spending time with her kiddos. She hugged and kissed them, laughed with them and even twirled them. (One of my favorite images!) 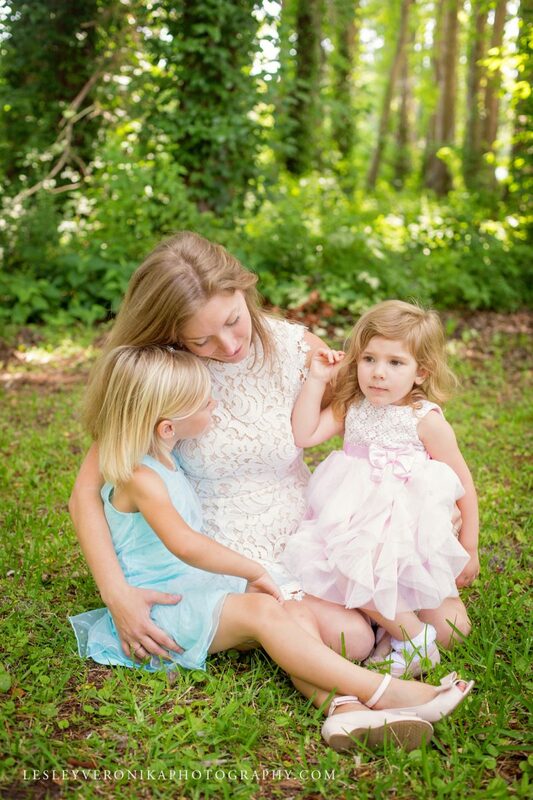 Reegan and Paige absolutely adore their mother. 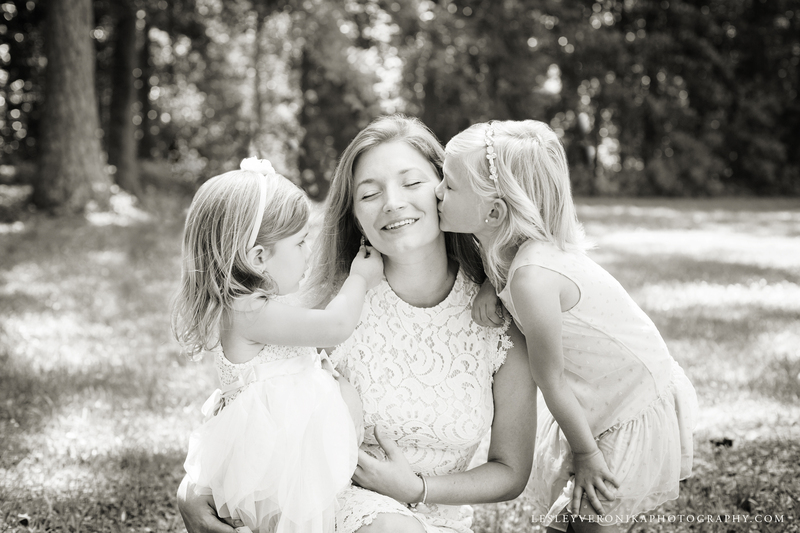 After spending just 5 minutes with them, it was easy to see the love they have for their mom. This is everything I want and more when I photograph families. Those sweet little kiddos make my job so easy. 😉 When there is love and appreciation, beautiful family portraits come easy. 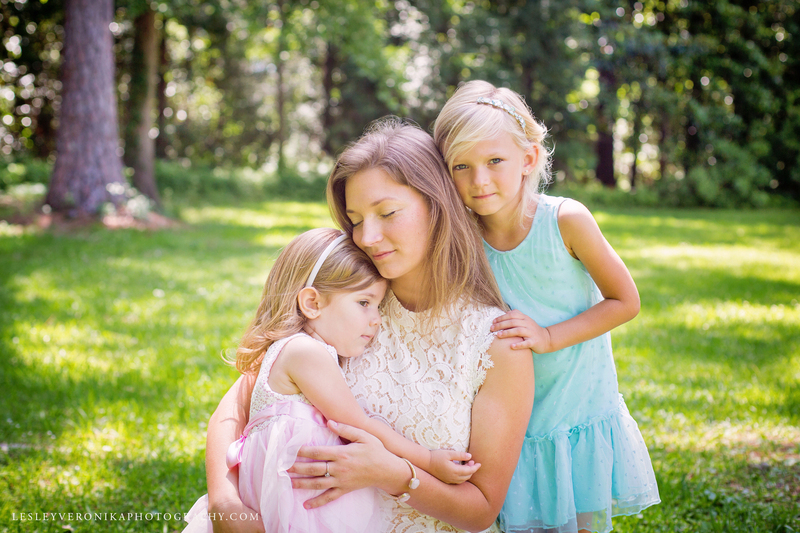 I am really excited to finally share Lauren’s mommy and me session! Lauren is a part of my Mommy Photography Program. 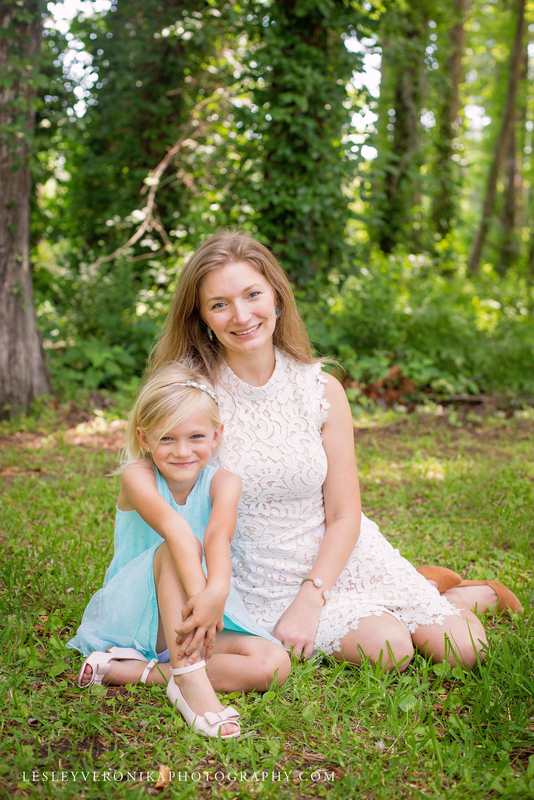 One of the first events in the program is a mommy and me session. We planned for a session in April and on the ONE rainy day April we had to reschedule for the end of May. Totally worth the wait! I just love the way Reegan and Paige look up at Lauren with adoring eyes. This is what the mommy program is all about. 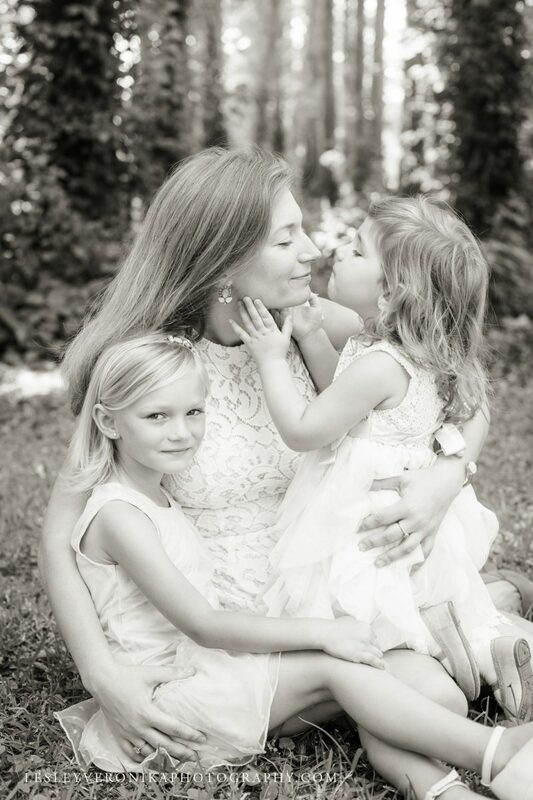 I want women to look at themselves the way their children do, with the utmost appreciation and love. Women are so unbelievably critical of themselves, especially the way they look in photos. 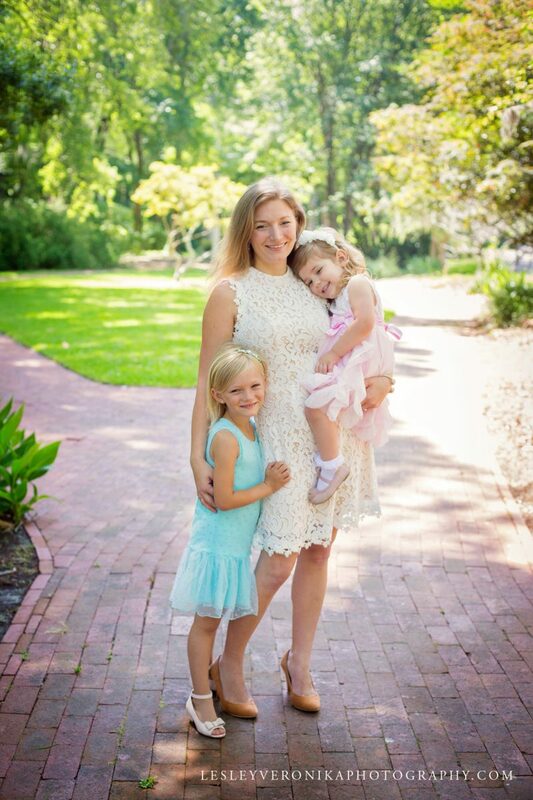 Whether you have the most positive body image on the earth or struggle with it daily, the mommy program is about having the confidence to take family portraits. Years from now when your kids are grown, and when you realize there are very few images of you and your children, your heart will ache. 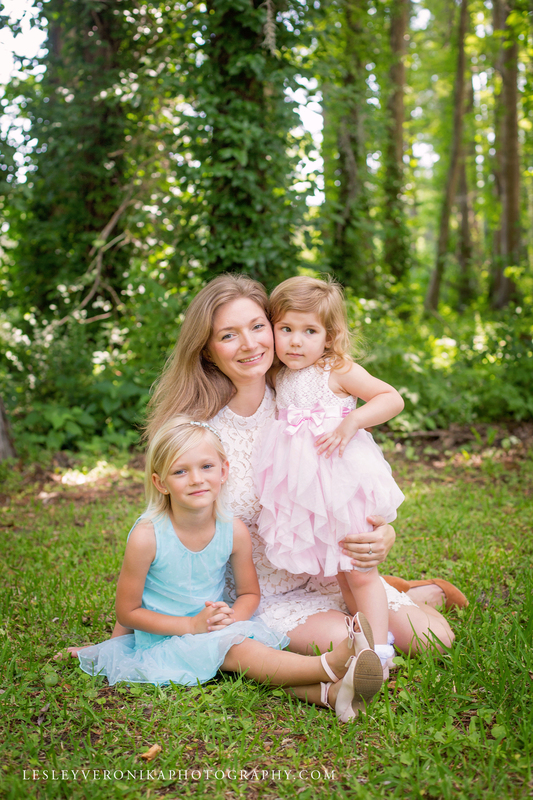 The mommy program is here to change your idea of what beauty should be and to feel confident enough to have those images taken with your kids because believe me when I tell you… they don’t care what you look like. In their eyes, you are beautiful! 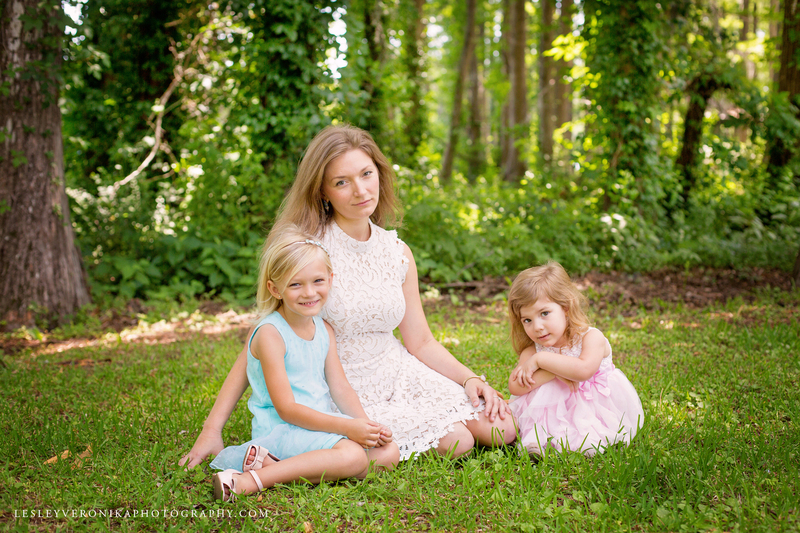 Lauren, thank you so much for joining the Lesley Veronika Photography mommy program. 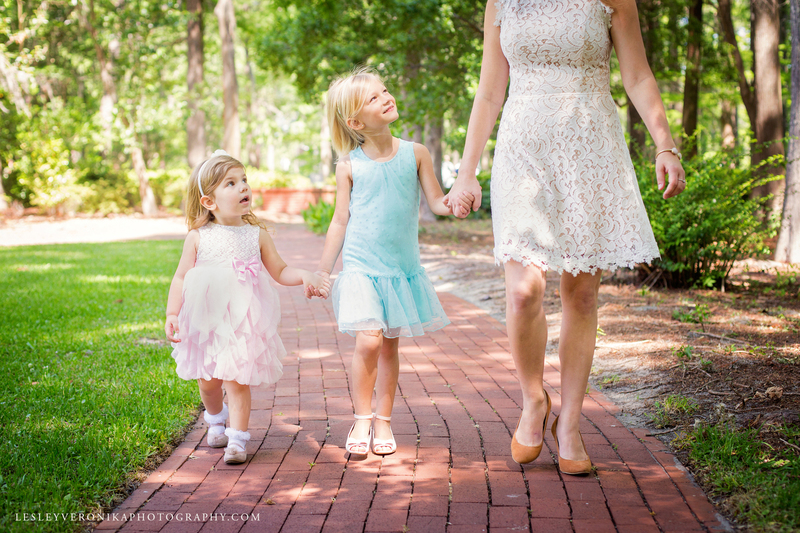 I can not wait to capture your beautiful family over the next year. You are an incredible person and one of the most hard working mamas I have ever met. 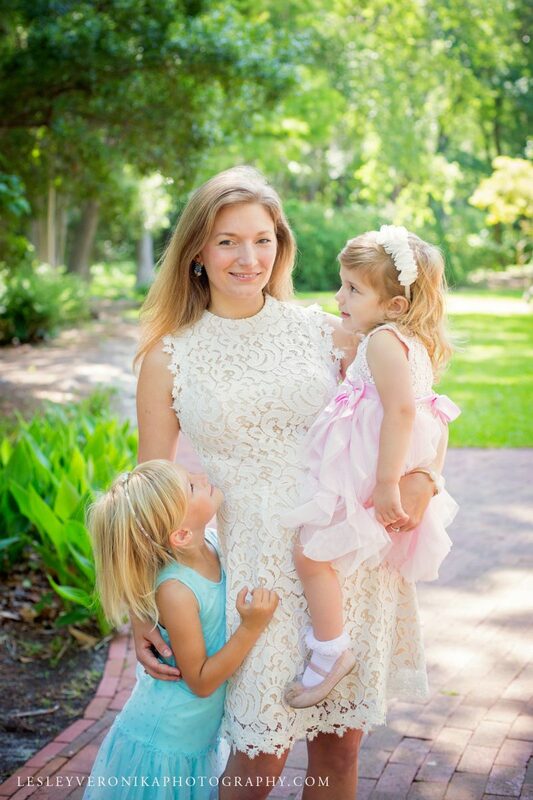 Your dedication to your work and your kids is unparalleled to any mom I’ve known and you are an inspiration to me and I know to other moms as well. 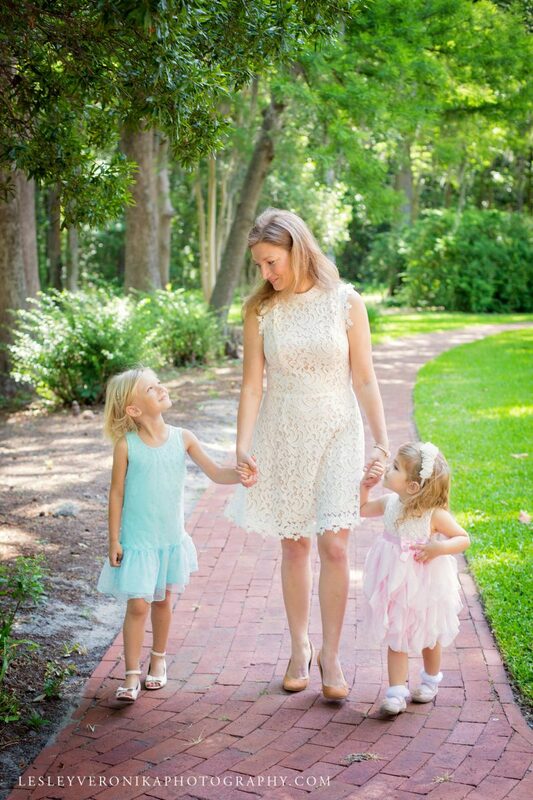 I am so excited to see those beautiful little girls grow oner the years. Would you like to schedule your own mommy and me session? Fill out the form below!